As a parent, finding the right bath and body products for your baby can be stressful. I’m sure every mom has taken a look at the baby hygiene section of their local store and been overwhelmed by the vast array of products offered. Not all babies are the same either. For example, my daughter had sensitive skin as a baby, so I had to be careful what body wash products I used on her skin. She also came with a full head of hair, so a lot of the shampoo and body wash combos would make her hair feel greasy. Fisher-Price Detangling Spray – I love that a company is finally realizing that not all kids have short hair! Ava was born with a full set of hair and needed her first cut at four months. Her hair grows like weeds and it tangles like crazy. As a kid, my hair also tangled a lot, so I know how much it can hurt a young child. Before using the detangling spray, I would put one of my hair products in her hair. It worked, but it’s not exactly formulated for toddler hair. The Fisher-Price detangling spray not only gets her tangles out, but it smells great and leaves her hair surprisingly softer. It can also be used on dry hair which is an added plus for us. Fisher-Price Foaming Hand Soap – It’s hard to get a toddler excited about cleaning their hands, so the cute looking cat shaped bottle can really help entice your little one to clean up. Once again, the product is formulated for toddler hands, so their are no icky chemicals that shouldn’t be going anywhere near your toddler’s hands. 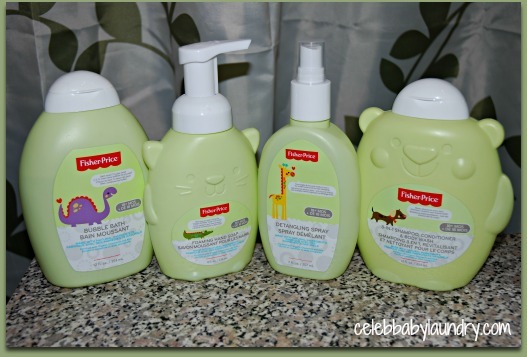 Fisher-Price 3-in-1 Shampoo, Conditioner and Body Wash – I tend to use these type of washes to clean my daughter’s body because they smell great. 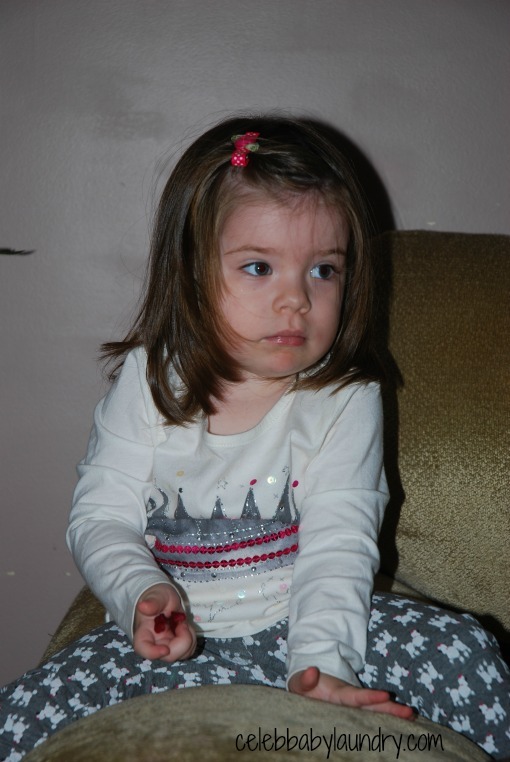 Although, it worked great on Ava’s hair because of the 3-in-1 formula. The soap also left a fresh smell because of the chamomile in the product. Fisher-Price Bubble Bath – Ava absolutely loves bubbles! I swear she could use a whole bottle of bubbles if I let her. This bubble bath is of better quality than the average one on the market. It’s rich and has a really nice smell. Not only are the Fisher-Price bath and body products listed above natural, but they’re affordable too! They’re priced under $10 which is extremely rare when it comes to natural products. I would definitely recommend them to other moms. These products are available now across Canada at select Babies “R” Us, Loblaws and Rexall locations, but you can enter now for a chance to win the full line of products, valued at $85.